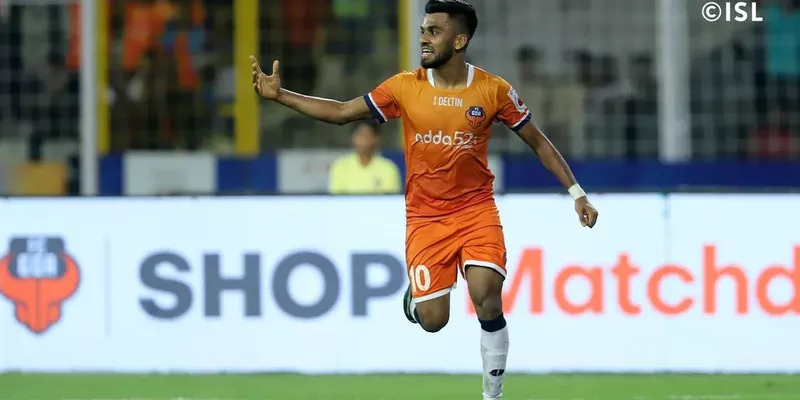 It was a joyous night for the traveling FC Goa fans as they experienced yet another brilliant attacking display from the Gaurs who thrashed Mumbai City FC on home soil by a margin of 5-1 at the Andheri Sports Complex on Saturday night. The home team went ahead with the lead through Rafael Bastos, but an opportunistic strike from Jackichand Singh and a powerful header from Mourtada Fall handed Goa the advantage before half time. Ferran Corominas, Fall and Brandon Fernandes scored three more goals for Goa in the second half which helped Sergio Lobera’s side register a four-goal advantage at the end of the first leg of the second semi-final of ISL 2018-19. Brandon, who got on the scoresheet with a clinical one-on-one finish past home team skipper Amrinder Singh, was highly ecstatic after last night’s crucial win on away soil. The youngster thanked the away fans for their constant support as he issued a warning about the next leg which will be played back home at the Fatorda Stadium in Goa. "I would like to thank them. They have been here in large numbers. It’s amazing to see so many fans coming and supporting us in the away matches and I can’t wait to go back and play the home match. Then obviously, if we go to the finals, we’ll be playing here, so a big thank you to the fans. "It is a big boost for us like I said. Going into the second leg, we still have another 90 minutes and anything can happen then, but we are very confident and we’ll go with a positive mind to play that match and try to win that match," Fernandes said at a post-match interview. Meanwhile, Mourtada Fall, who scored a brace last night, also echoed his teammate’s sentiments while adding that the Gaurs will do everything to win the next match and the final. "This is work from the team and not only me. I’m happy yes, but I think we work for this a lot. Now, I’m happy to say congratulations to the whole team as well as our fans. "Yeah, this is football, my friend! Only today I am thankful for this match, but the second leg is another match. We don’t think a lot about winning 5-1 or that it’s going to be easy. Football is football. We’ll play the second match strong as well and try to win it," Fall said.